I apologize for the short notice here, but if you’d like to hear an inspirational speaker tonight, head over to the Hill School Center for the Arts. This comes from Cathy Skitko, Director of Communications. On Thursday, February 7, at 7 p.m. in Hill’s Center For The Arts at 860 Beech Street, nationally-recognized motivational speaker Travis Roy will return to campus to address The Hill community for the second time. This event is free and open to the public. The Hill’s connection to Roy and the Travis Roy Foundation dates back to 2009-10, when the freshman class read his book, 11 Seconds, during that year’s winter break. The class sold Travis Roy Foundation wristbands as a fund raiser that year, with a goal of $800. Thanks to a matching gift from Rich Pentz, a 1999 graduate of The Hill who is friends with Roy’s brother-in-law, a total of $1,500 was raised. During Roy’s visit to campus, the class presented him with a check and announced that they had decided to “adopt” the foundation as an ongoing project during their four years at The Hill. The class has held a fundraiser for the foundation in each of the three years since Roy’s initial visit to campus. In 2011, a “Photo Fair” in which favorite Hill teachers dressed up in a variety of costumes and posed for photos with students raised more than $2,000. The class decided to establish the Travis Roy Broomball Invitational in 2012. Broomball is a game played on an ice hockey rink with modified paddles serving as the “brooms,” a small rubber ball, and no ice skates. The inaugural tournament was a hit, with more than a dozen teams participating in the round-robin style tournament. This year’s tournament, which was held on Saturday, January 12, was equally successful. In all, the two broomball tournaments raised more than $3,500 for the foundation. During his first visit to campus, Roy shared his tragic yet compelling story with the Hill community. He began his high school hockey career at North Yarmouth Academy in Maine, where his coach was Hill alumnus Kevin Potter ’85. In 1993, he transferred to Tabor Academy, a New England Division I prep hockey power, for his junior and senior years. After graduating from Tabor, Roy was set to continue his hockey career at Boston University. The Terriers won the NCAA National Championship in 1995, and Roy was in uniform for his first collegiate game the night the University raised the championship banner. Just 11 seconds into his first shift of the game, a freak accident sent him into the boards head-first and broke his neck, paralyzing him from the neck-down. Instead of passively accepting his fate, Roy decided to make the most of a difficult situation. Just two years after the accident, he and his family established the Travis Roy Foundation, a nonprofit organization that focuses on finding a cure for spinal cord injuries, and also gives financial grants to those affected by a spinal cord injury that are in need of financial assistance to purchase the equipment needed to live as independently as possible. Hill School students held an end-of-the year collection of items that were no longer needed by students or were too heavy to take home on a plane. At the final tally, an enthusiastic group of 48 students, along with 11 faculty and staff members and parents, collected, sorted, and packed 4,750 pounds of clothing, books, and room accessories that were donated to The Pottstown Cluster, the Montgomery County SPCA, and Goodwill Industries. Not only did these items not end up in a landfill, but they can be put to good use by those in need, including our furry friends at the SPCA! You can read the full story at The Hill’s website. Click here to see the full list of items and recipients. The Pottstown Area Health & Wellness Foundation recently appointed Donald Silverson, of Pottstown, to its board of directors. Mr. Silverson is the Chief Financial Officer and Treasurer of The Hill School since 2007. “Don brings specific talents to our board,” comments David Kraybill, Executive Director of the Foundation. “His financial and investment knowledge, and familiarity with the building and construction process, will benefit the Foundation Board. His willingness to serve the Foundation and the Pottstown community is to be commended. We value his opinions and expertise, and appreciate his time commitment in assisting us with moving the dial as we continue to improve health and wellness in our community.” Mr. Silverson will serve on the Foundation’s Finance and Facilities committees. A graduate of University of Rhode Island, Kingston, RI, Silverson received his Masters in Community Planning and Public Administration, and his Bachelor of Arts in Sociology from Brown University, Providence, RI. He serves as Treasurer of the Pottstown Area Industrial Development Corporation (PAID). The Pottstown Area Health & Wellness Foundation’s mission is to enhance the health and wellness of area residents, providing education, funding and programs that motivate people to adopt healthy lifestyles. Visit www.pottstownfoundation.org for more information about the Foundation. Discover Pottstown area’s online community at www.missionhealthyliving.org to learn and share great information on how to lead a healthier life. You can also follow Mission Healthy Living on Facebook and Twitter. Hill School winter musical opens tonight and it’s FREE! There are so many holiday activities taking place this weekend. I’ll highlight a few here. Please check out the calendar for the details, and take a look at The Mercury’s coverage of all the happenings. Get out this morning for the Doe Club’s annual Cookie Walk and Soup Sale being held in the lobby of the Elks Lodge, 61 High Street, from 9:00 AM to 12 noon. Edgewood Cemetery is holding a wreath sale at 9:30 this morning at the cemetery (High & Keim Streets). A Cash Mob is meeting at The Farmers’ Market at 10 am. Bring $20 to spend at the downtown business of your choice. BUY LOCAL! On the entertainment side, there’s the Coventry Singers concert, TriPAC’s “A Christmas Story,” and the Ballroom on High’s Christmas Showcase. There’s a full schedule of events and family fun at the Carousel, Pottsgrove Manor and the Hill School on Sunday too. Check out the calendar here! Nutcracker Ballet performance at Hill School in 1 hour! The Schuylkill Valley Regional Dance Company is putting on their 40th anniversary production of The Nutcracker. It’s taking place this afternoon at 2 pm at The Hill School’s Center for the Arts at Beech and Sheridan Streets. For info, visit the SVRDC website at http://www.svrdc.org/. The arts are thriving in Pottstown! Here are some places to check out not only for show tickets, but also for unique, hand-crafted pottery and jewelry, musical instruments, and gift certificates for music, dancing, and acting classes. Please let us know of additional arts-related shops and venues; we’ll add them to the line-up. Don’t be shy: support the inner artist in your child and yourself! The Gallery on High is home to local artists – paintings, glassware, pottery, jewelry, scarves handmade soaps. If you want something that’s one-of-a-kind, you must go here! There’s also a custom framing shop inside for that special photo or painting that needs just the right frame. Peace: The Annual Holiday Show is running now through Jan. 7. They are located at 254 E. High Street, Pottstown, PA 19464. Did you know that a well-known portrait photographer from the late 19th century – Isaac Lachman – once used this building as his Pottstown studio? Hours: Tues.-Fri., 10-4:40 pm; Saturday 10-3. Phone: 610-326-2506. The Gallery School of Pottstown offers a wide array of classes for all ages and can host your next party. (I can’t wait to teach some creative writing classes there this spring!) Maybe there’s someone in your life who would like to explore a new facet of the arts? Check out their schedule here. They are located on the second floor of 245 E. High Street, above The Gallery on High. Know anyone who wants to take their musical development a little further? High Street Music Company offers instruction for brass, woodwinds, strings, guitar, bass, piano and drums. Check out their family discount, holiday specials and the coupons on their website! Know anyone who wants to finally record the EP that will break their career wide open? High Street Music also has state-of-the-art microphones and digital equipment. They’re at 135 E. High Street (next to Bistro 137 and across from Borough Hall.) Phone: 610-906-3357. For music instrument sales and rentals, stop in at Ben’s Music within Downtown Records and Tapes at 53 N. Charlotte Street, at the intersection with King Street. They also do instrument repairs. Their hours are: Mon. – Thurs., 10am – 5:30 pm; Fri., 10 am – 8 pm; Sat., 10 am – 4 pm; closed Sunday. For the dancer in all of us and when you just gotta move, the Ballroom on High is THE place to be! SwingKat Entertainment hosts weekly dances and gives lessons in ballroom , country, salsa, and swing. Their 300-person venue in a historic building at 310 E. High Street is also available for weddings, birthday parties, business meetings, or funeral receptions. 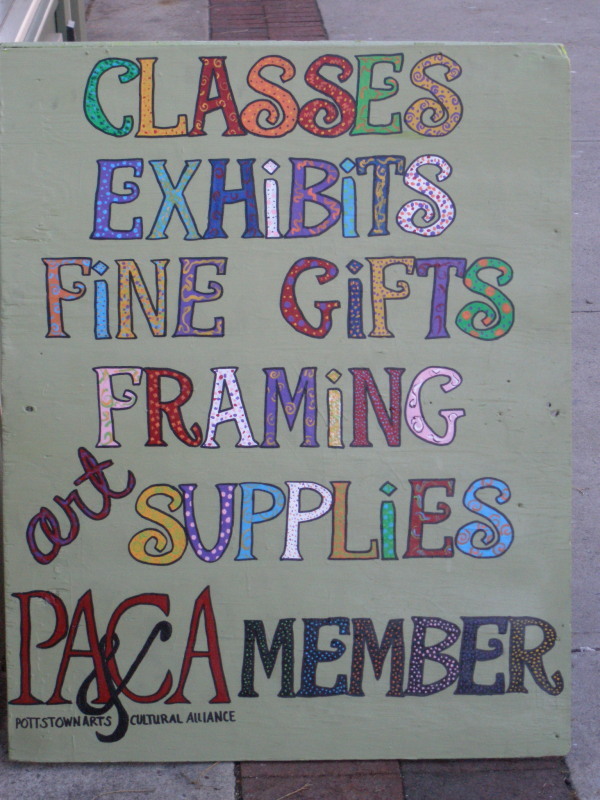 For sure, check it out on Dec. 9th and attend the Come As You Art Ball, hosted by MOSAIC Community Land Trust and PDIDA. Schuylkill Valley Regional Dance Company is in 40th year, exposing kids age 7 and older to dance. This year once again they will perform The Nutcracker Ballet. The show goes on at The Hill School Center for the Arts on Dec. 3 and 4. Go to their website for more details and tickets. For free concerts that can become part of your family’s traditions, check out the Coventry Singers in concert on Saturday, Dec. 10 ; Reading Choral Society at Emmanuel Lutheran on Sunday, Dec. 11; and the Hill School’s Lessons and Carols in Alumni Memorial Chapel on Sunday, Dec. 11. Details can be found on the Positively!Pottstown calendar. Positively Pottstown calendar is back up! The Positively Pottstown calendar of Christmas concerts, performances, historical events, happy hours, craft and bake sales, and much more is here to help you plan your holiday shopping and entertainment! Get your gift-buying underway with a shopping march set for downtown Pottstown tomorrow (meet at Bistro 137, 137 E. High Street.) And take advantage of Sunday shopping as Pottstown offers another “Super Sunday” this Sunday, with free, fun activities for the kids at the Farmers’ Market. Over the next 24 hours, I’ll be putting up several posts to let you know, or remind you, of all that Pottstown’s restaurants, retailers, and arts venues have to offer this holiday season. Stay tuned!